Welcome to the Official Website of the City of Grayson Fire Department! 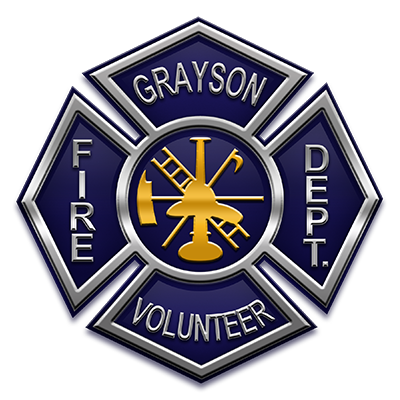 Please take some time to navigate through the pages of the site to discover more about the Grayson Fire Department, the Dive Team, and Grayson Emergency Management. Thanks for visiting! We would also like to take this time to invite you to come see our Grayson Fire Headquarters. Just stop by and ask for a tour and one of our members would be happy to give you a tour. Also, we invite kids to come by and see the fire trucks and station as well. We do ask if you have a larger group that wants to come visit, to please call or email ahead of time. This way we can assure that someone will be there to answer any questions that you may have. We also can do fire prevention with the kids of all ages during the visit if requested.